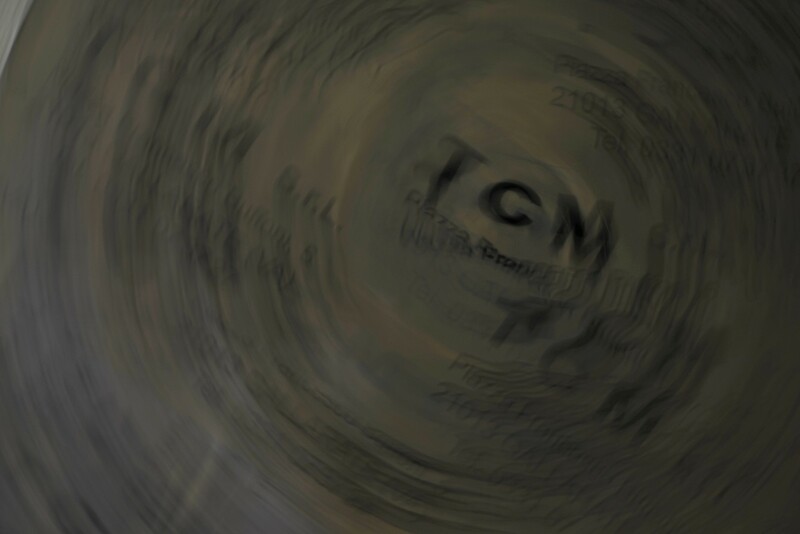 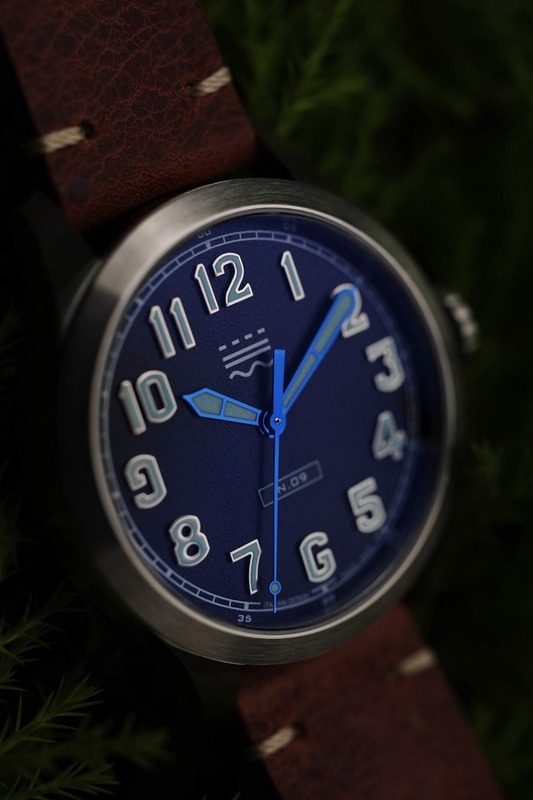 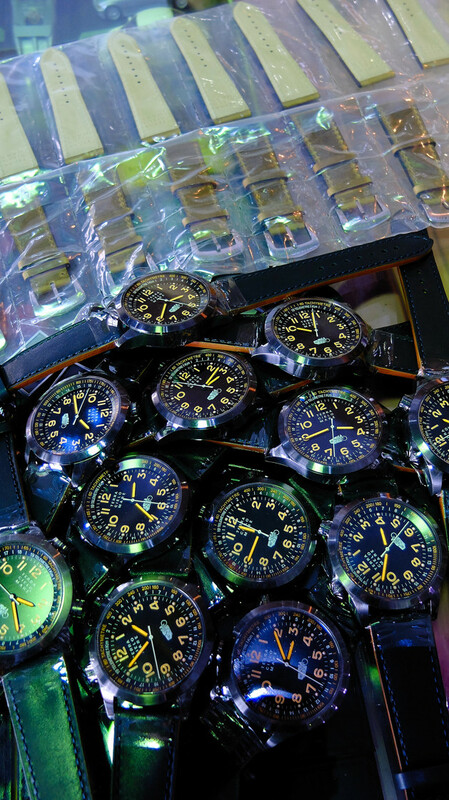 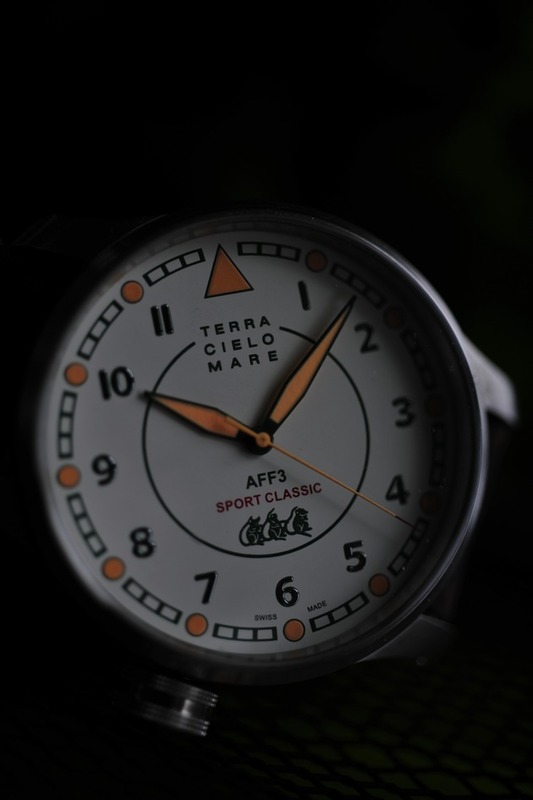 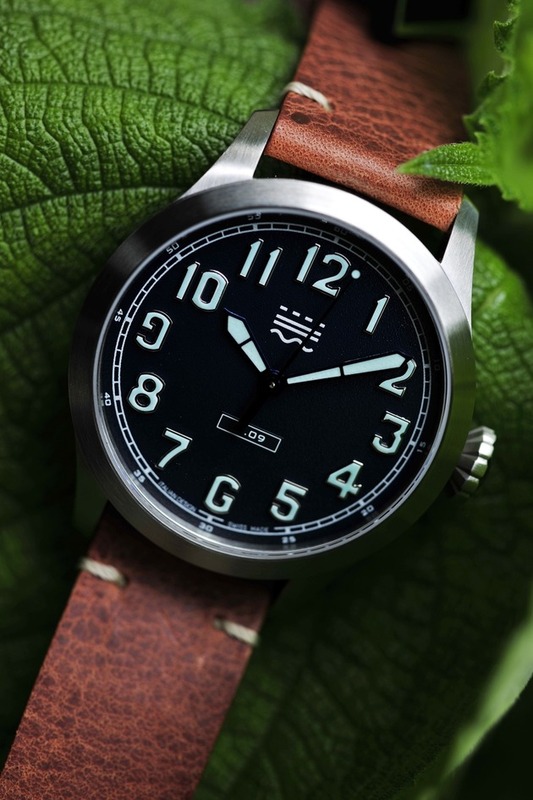 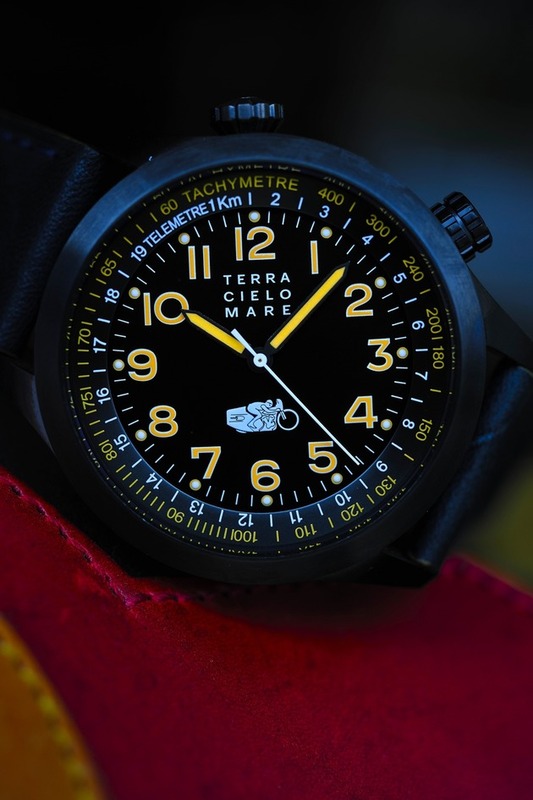 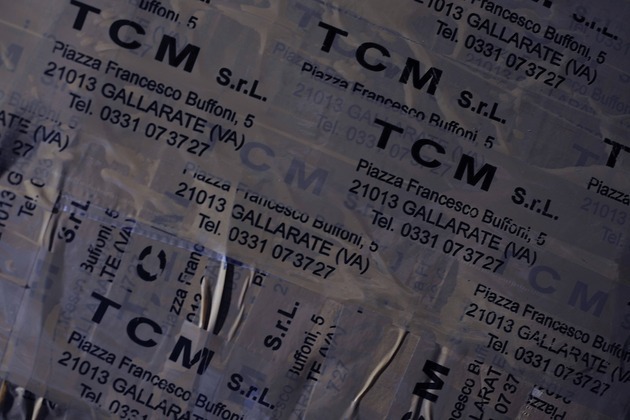 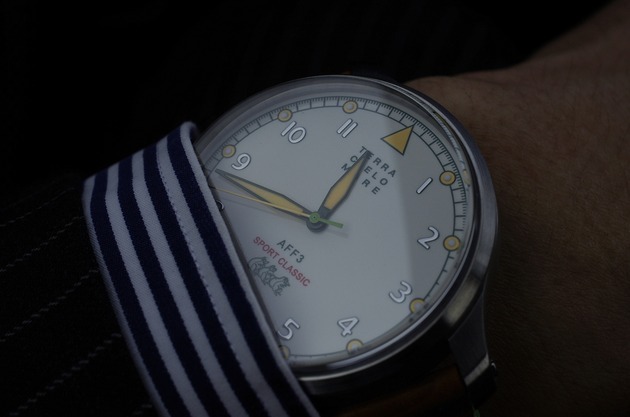 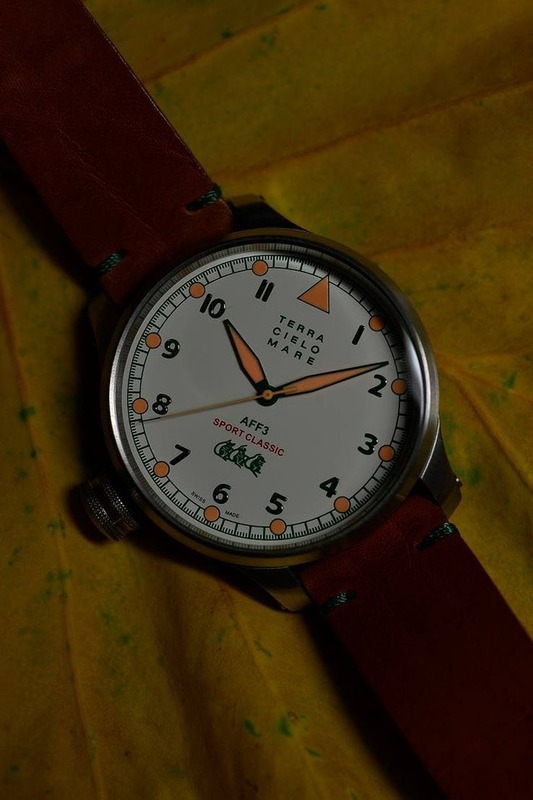 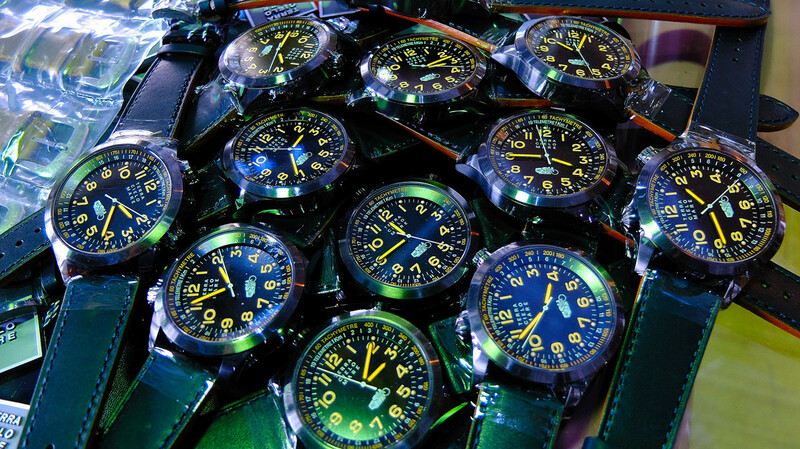 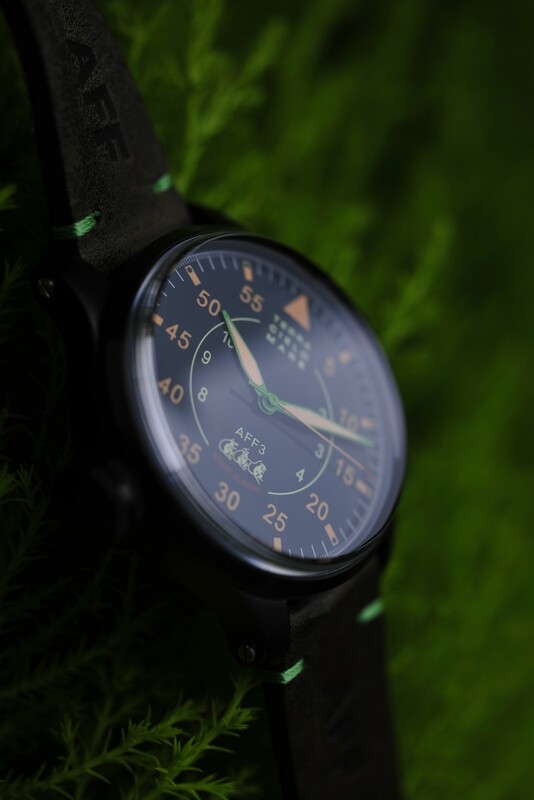 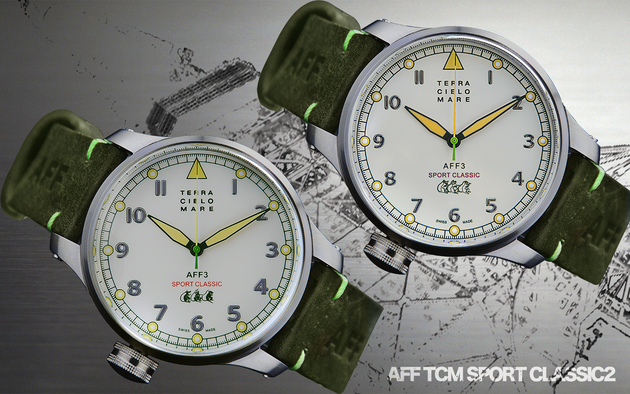 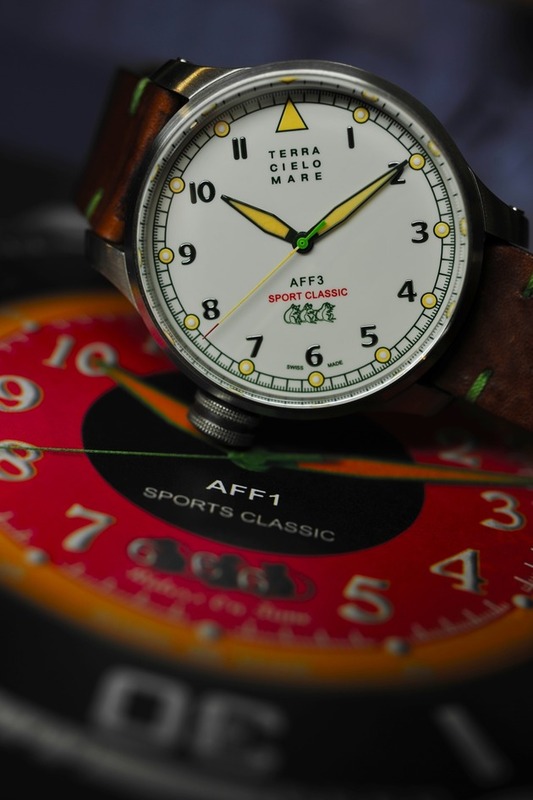 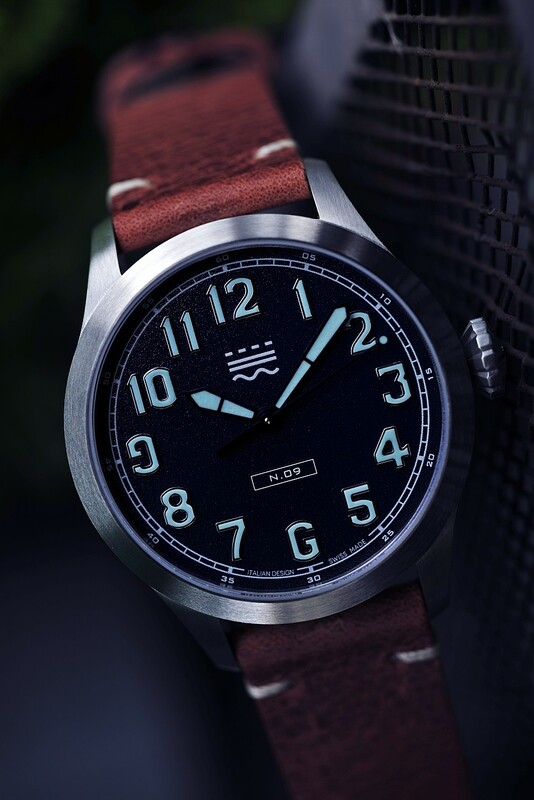 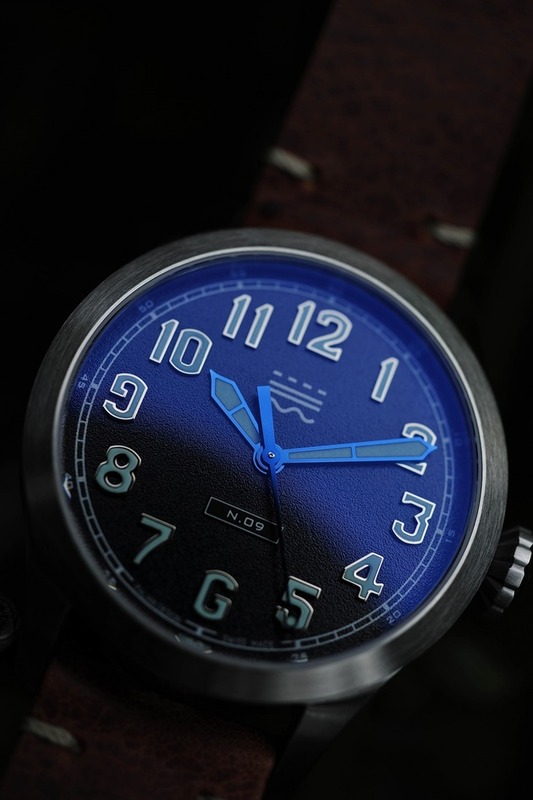 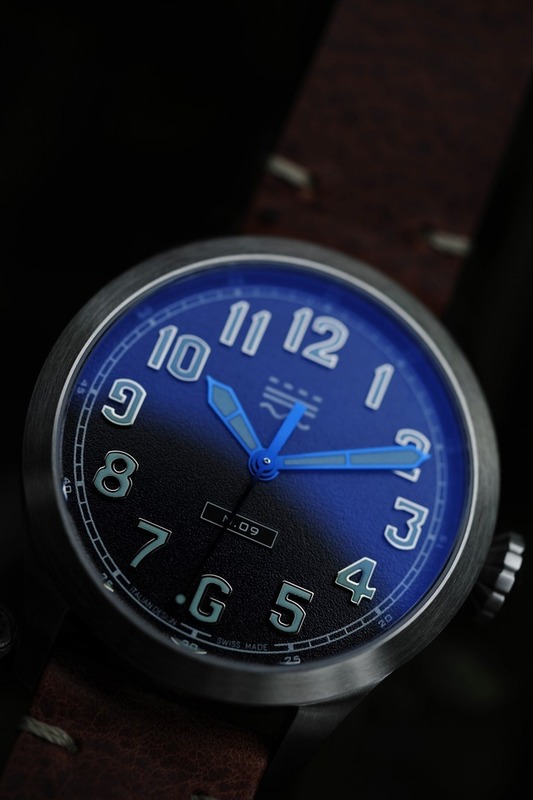 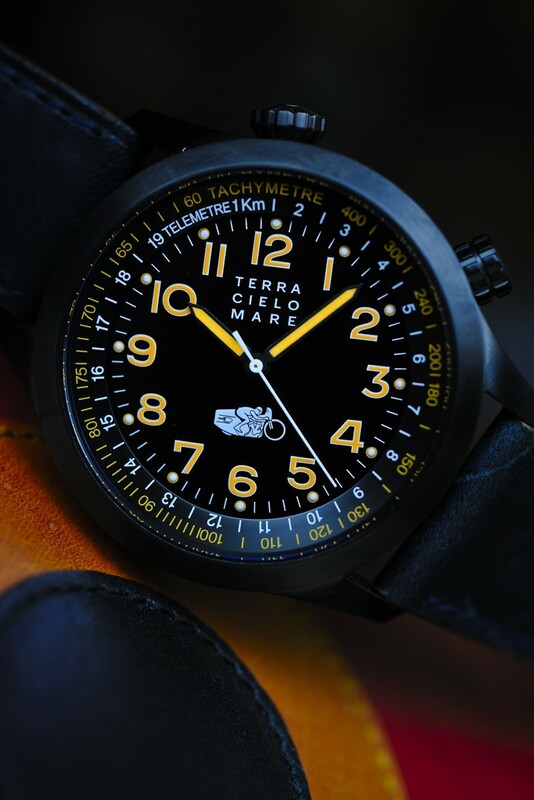 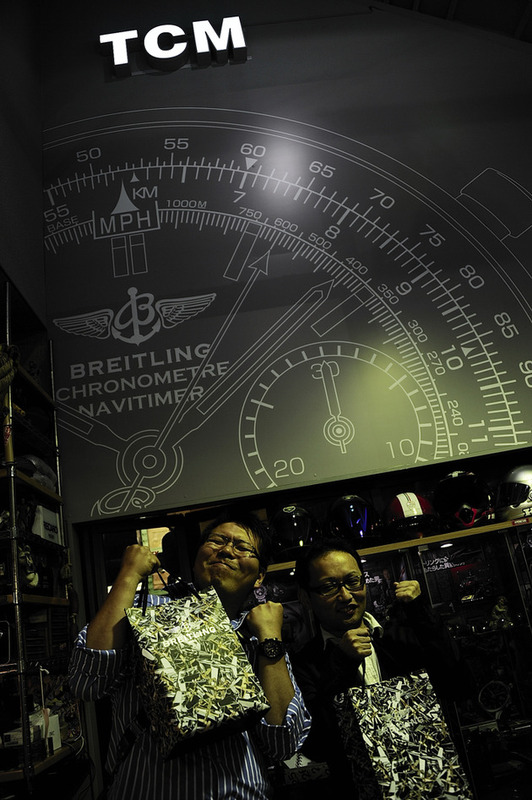 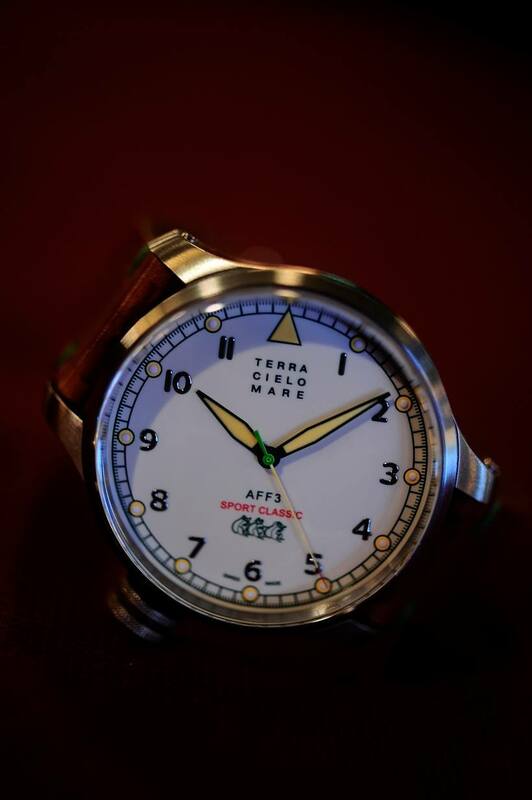 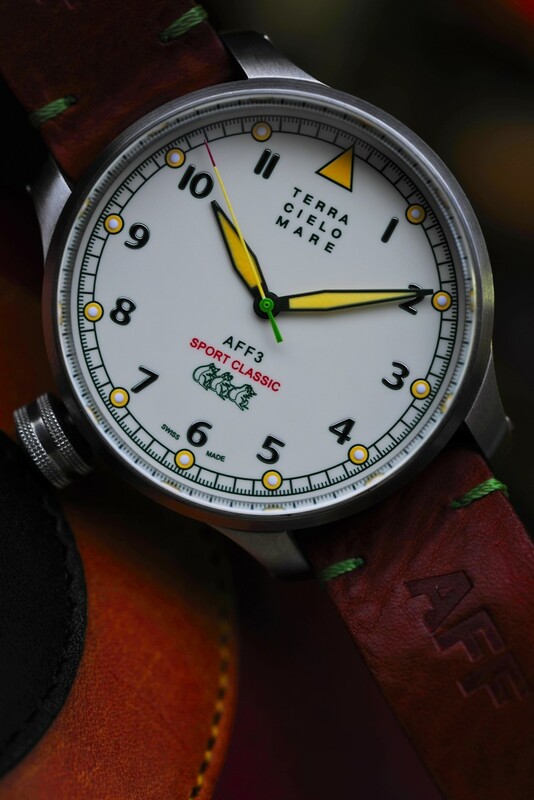 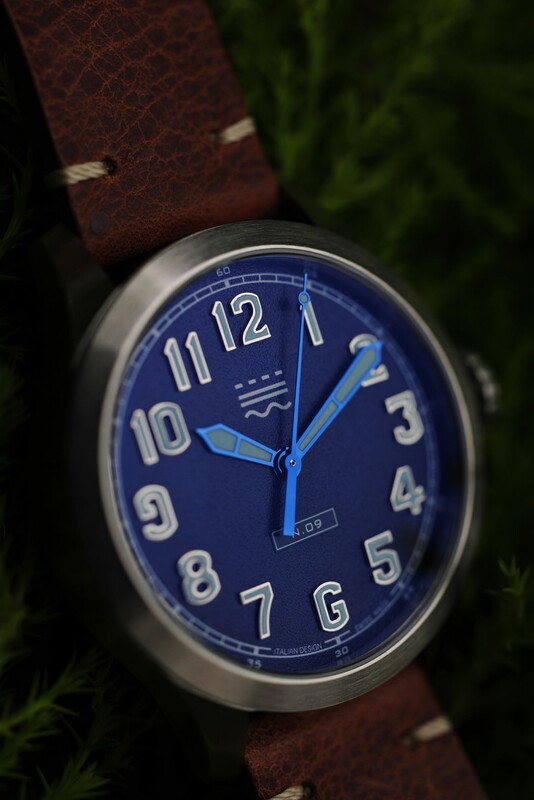 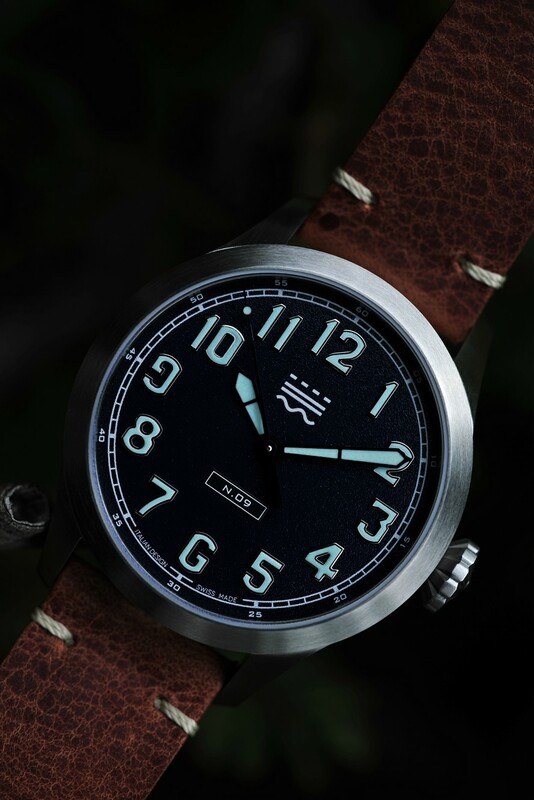 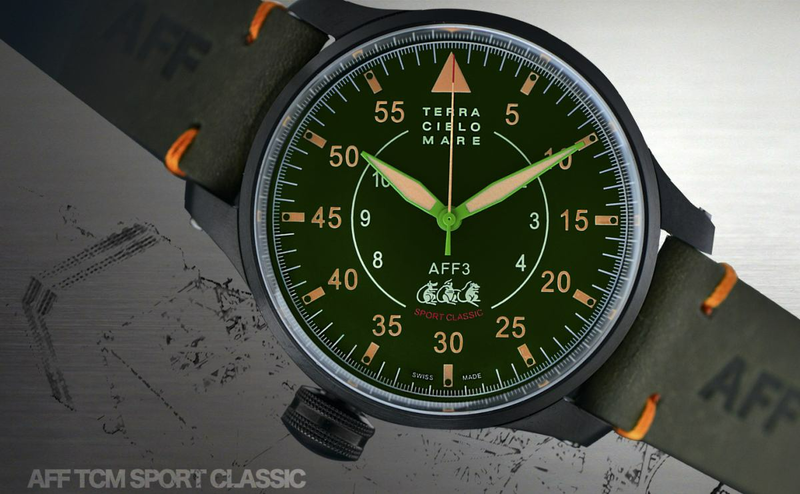 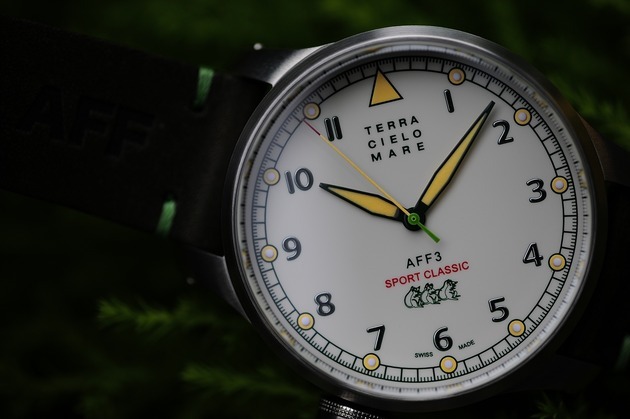 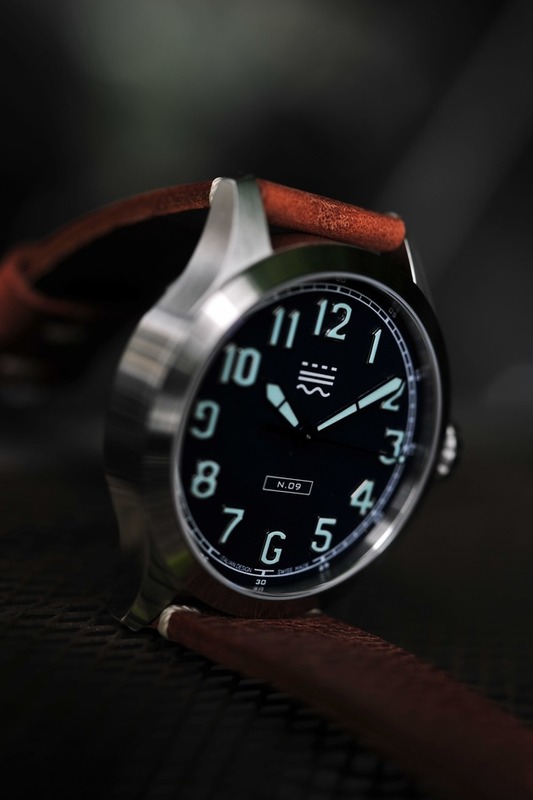 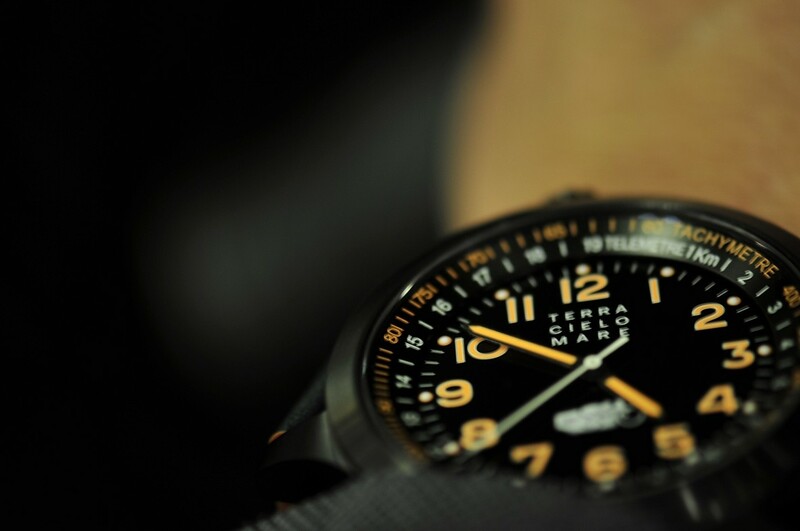 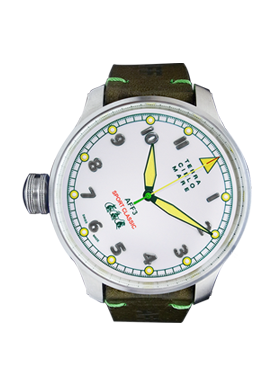 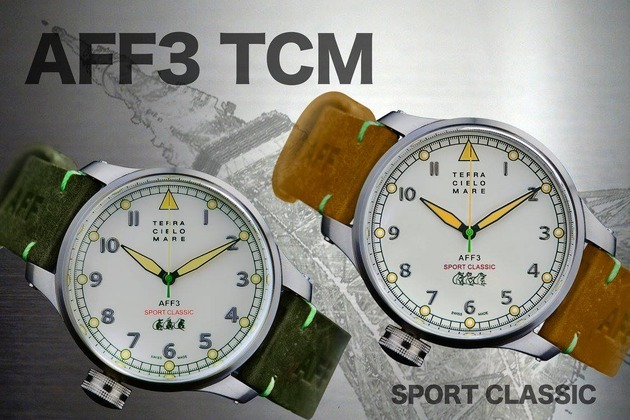 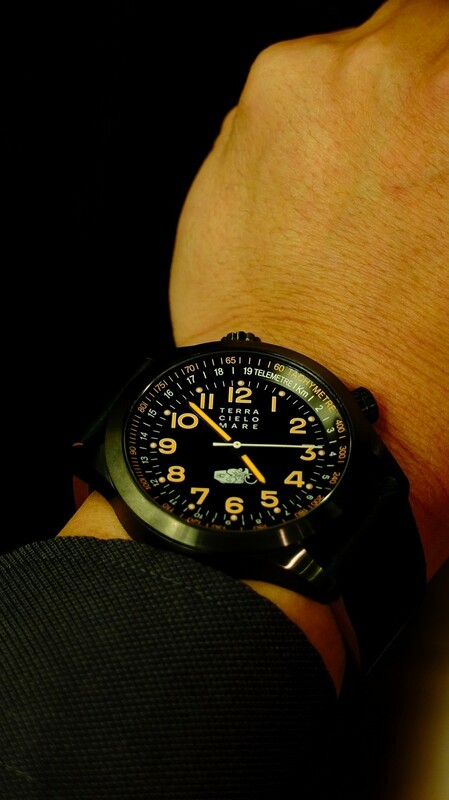 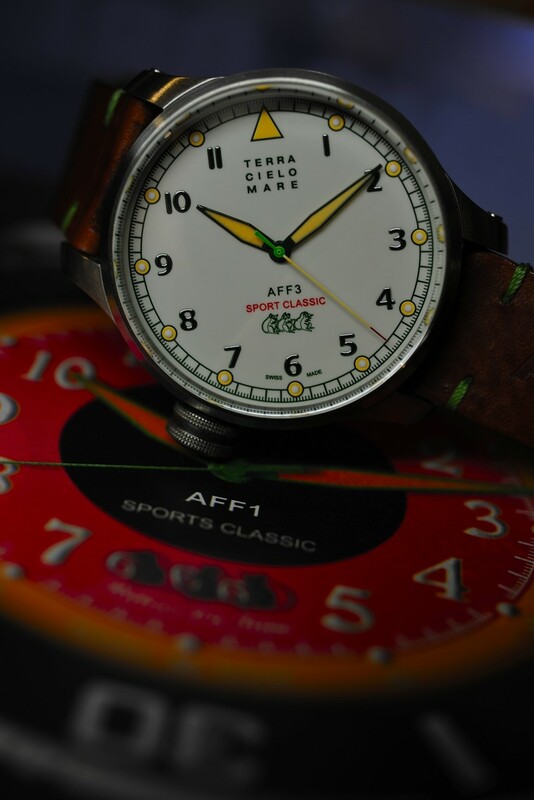 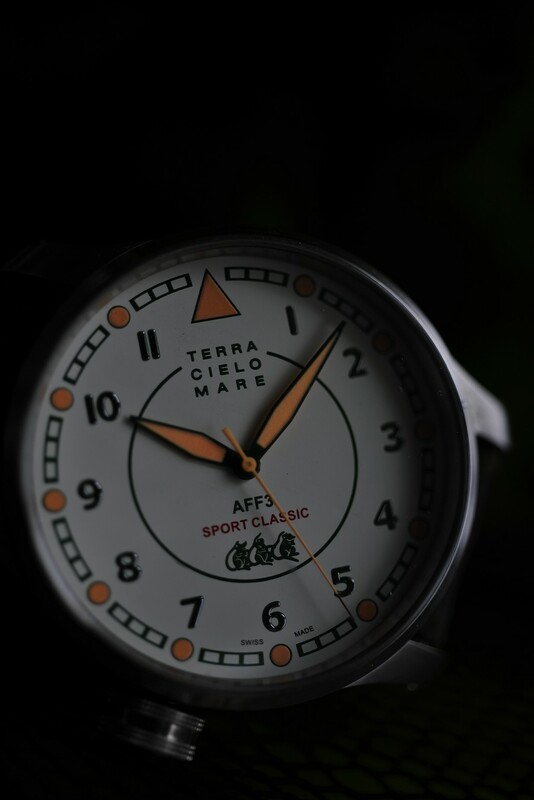 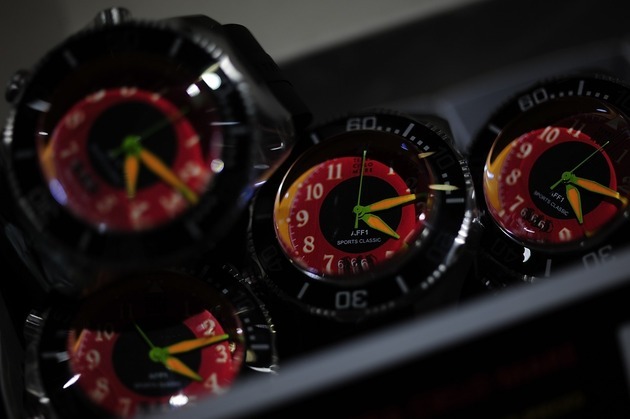 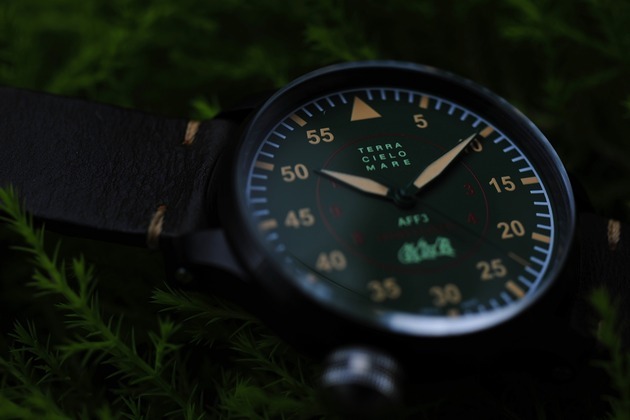 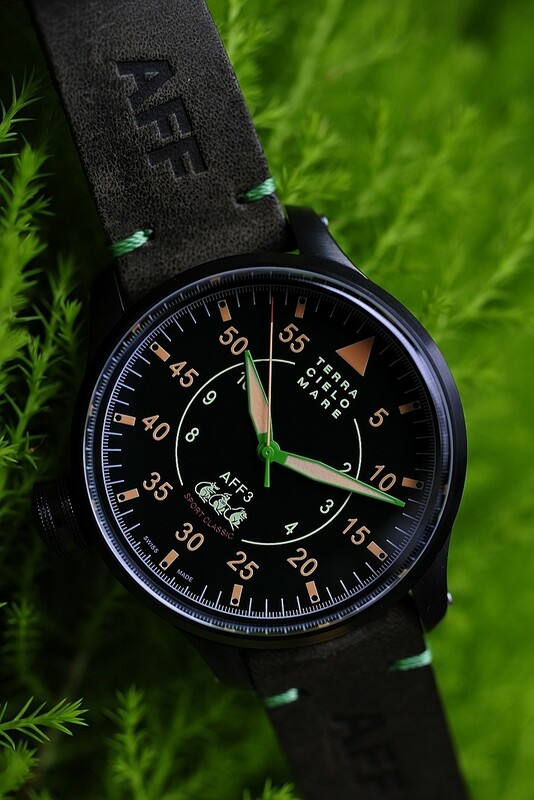 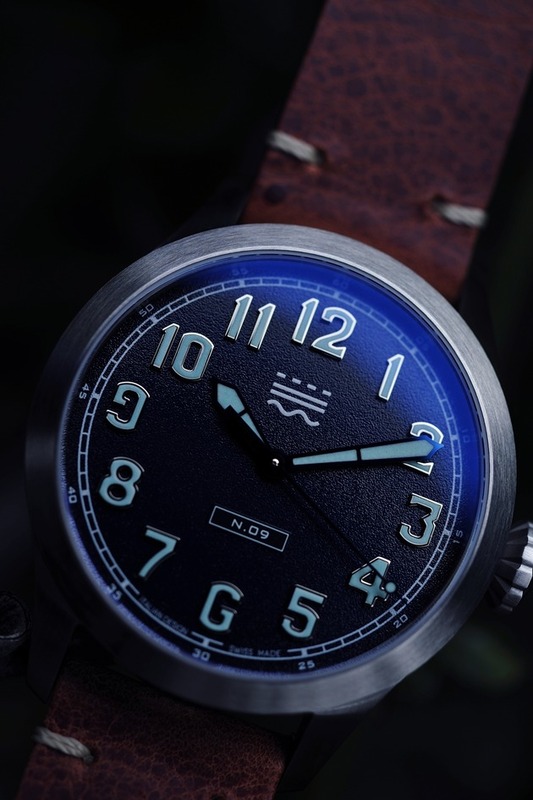 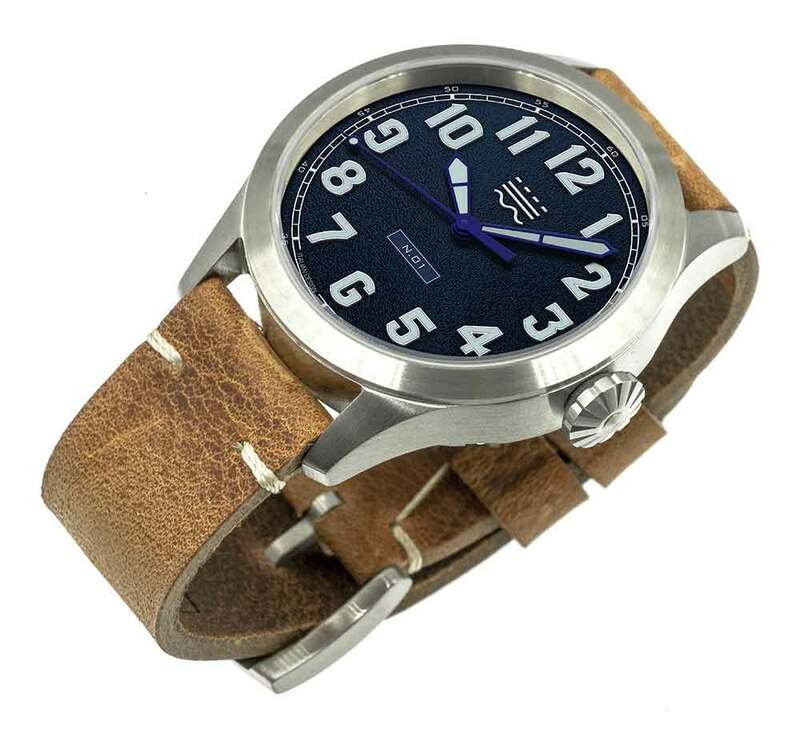 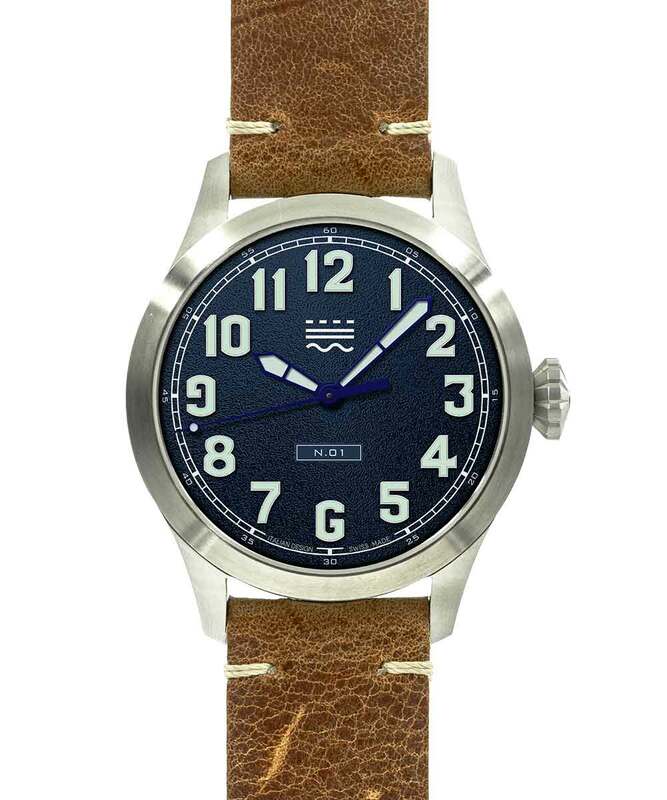 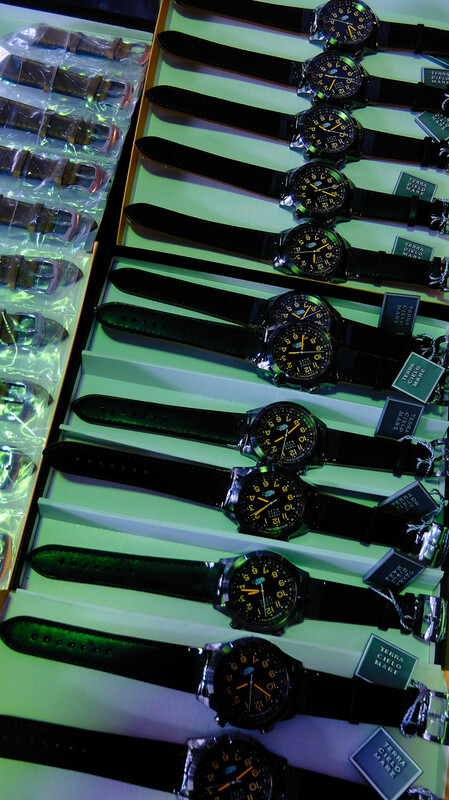 Terra Cielo Mare is a family-run Italian company, and not surprisingly their pilot’s watches are inspired by episodes from the history of Italian aviation. 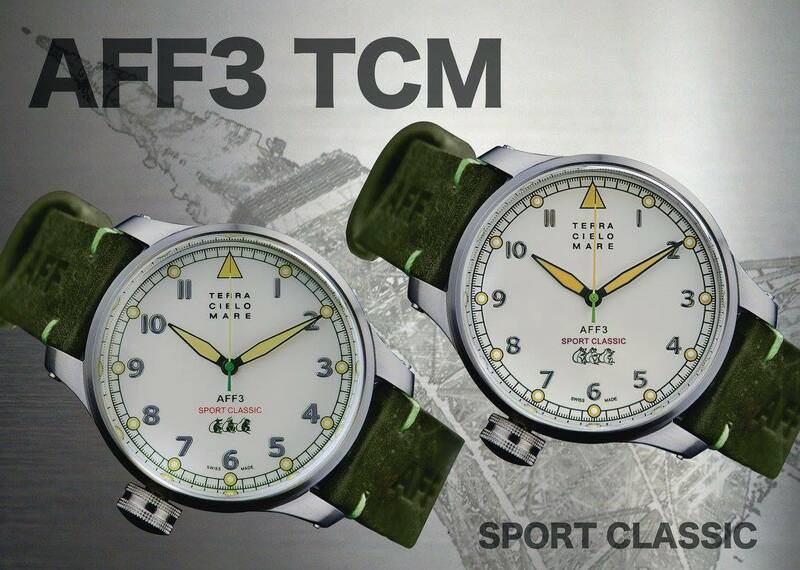 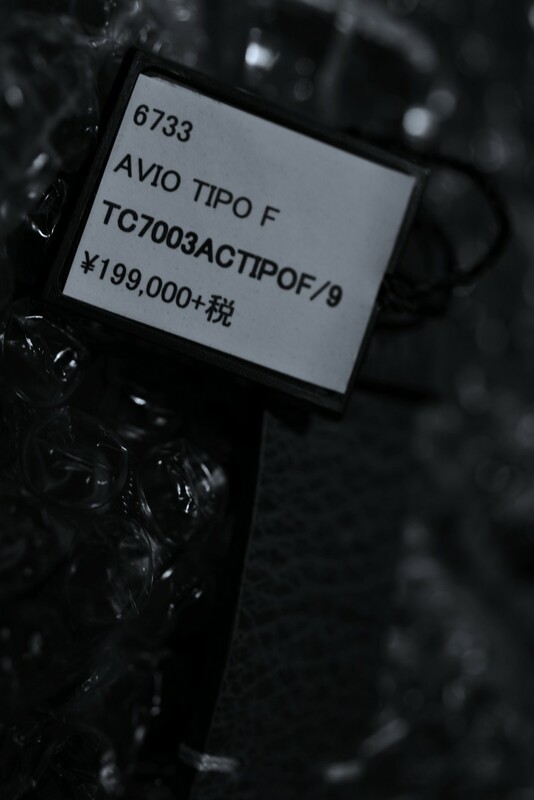 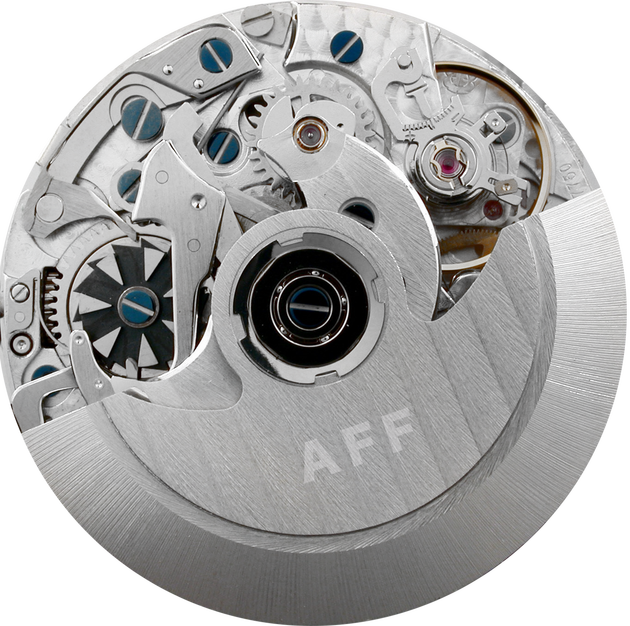 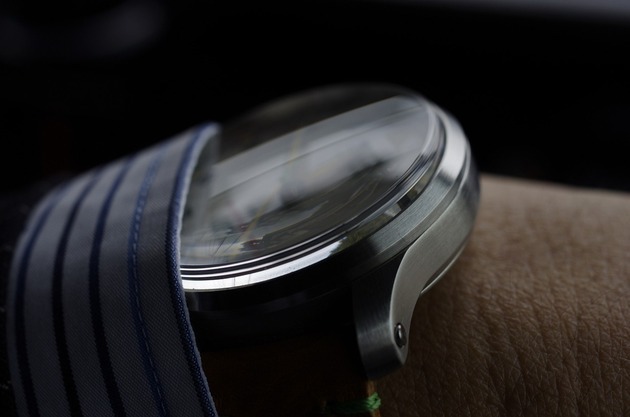 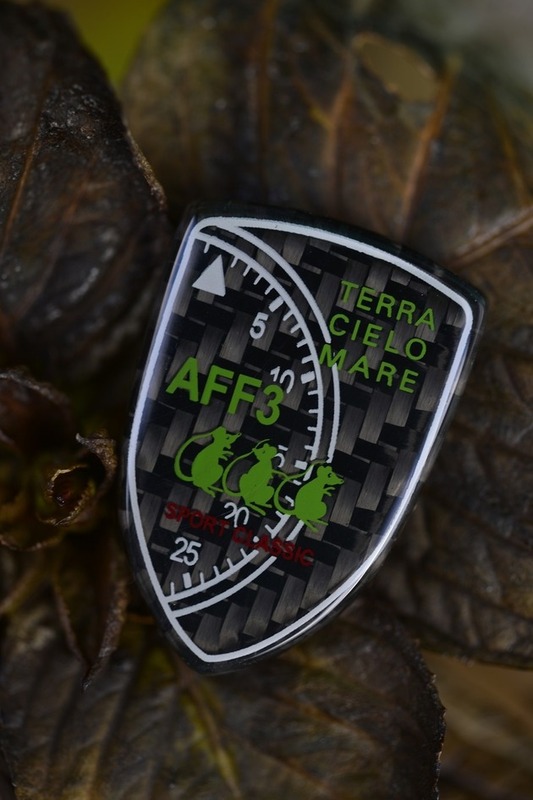 The new Avio Tipo F has a design that recalls the with stylized numerals and hands with faceted areas of SuperLuminova. 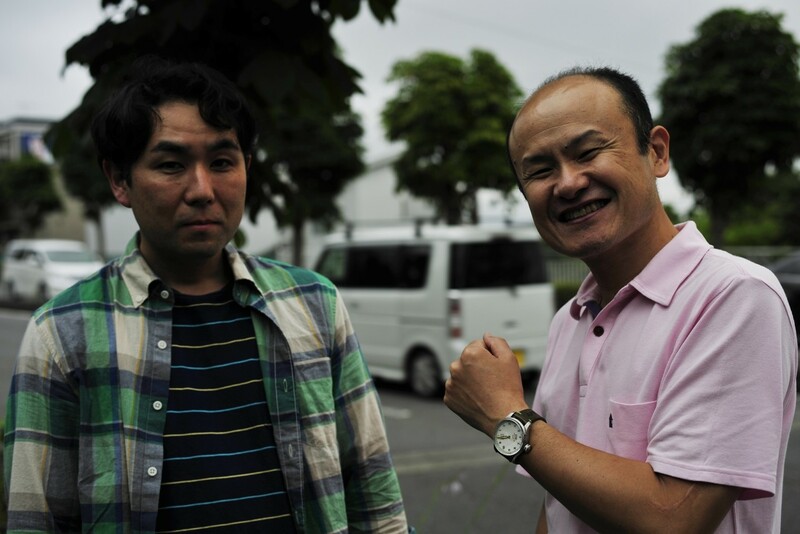 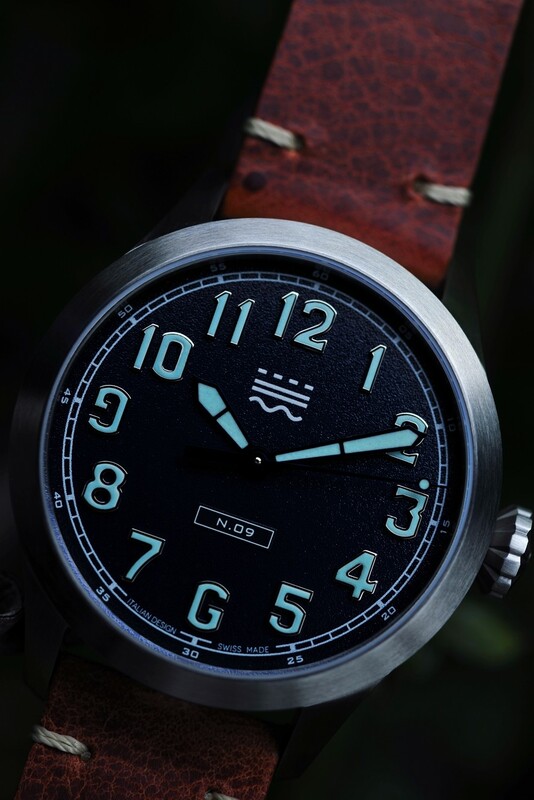 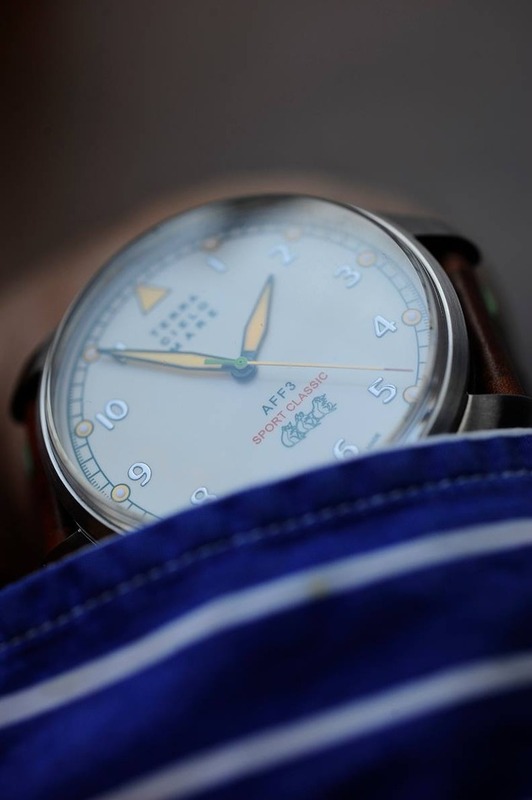 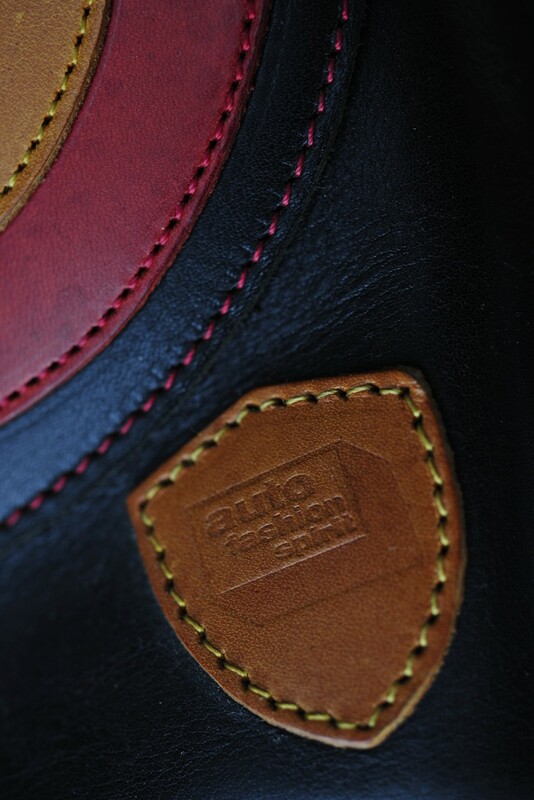 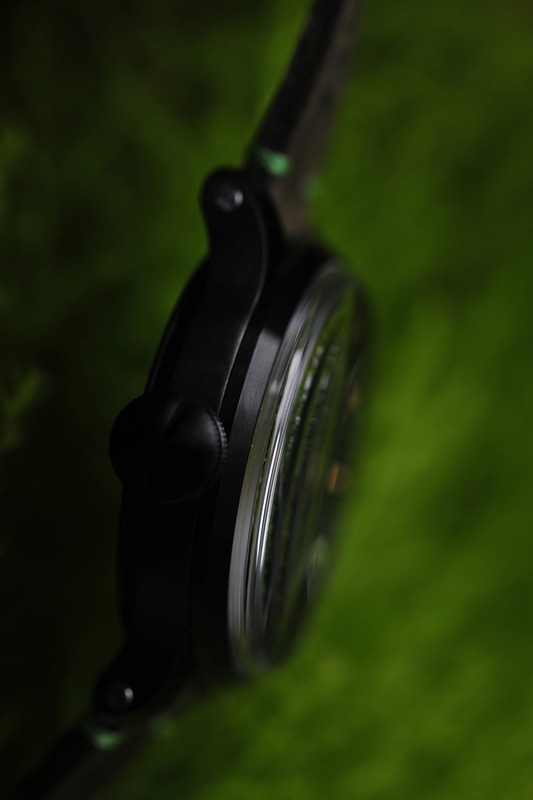 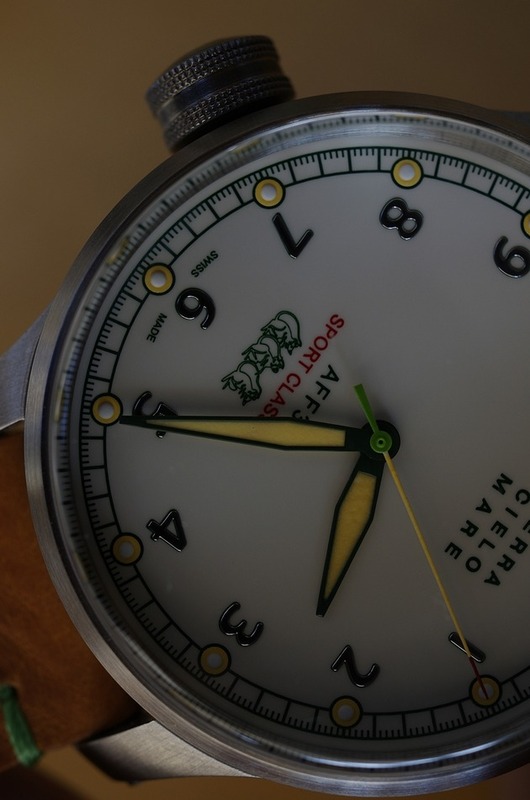 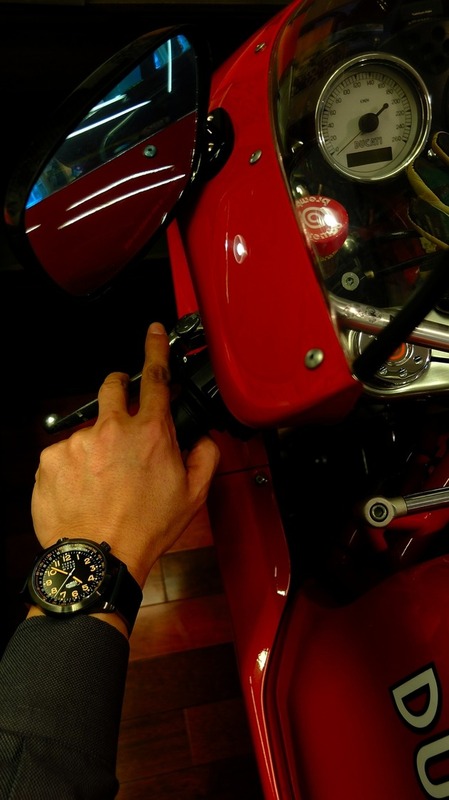 The dial is a dark blue instead of the classic black, and the seconds hand has a tip with a dot of lume. 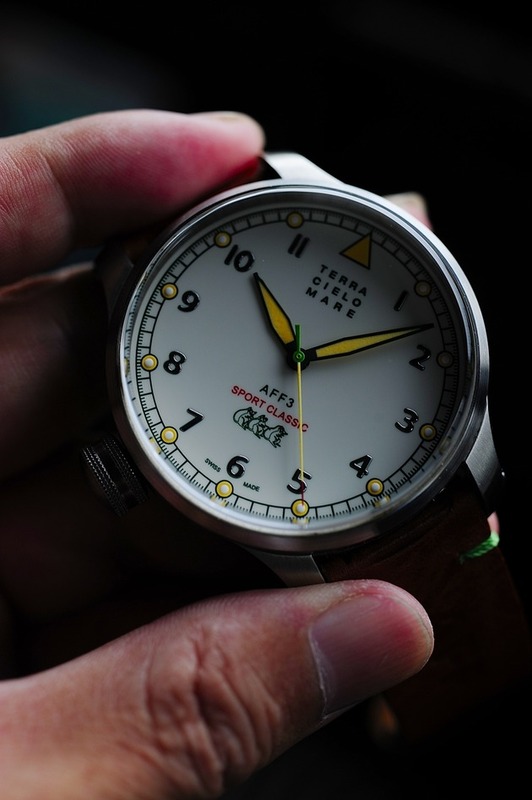 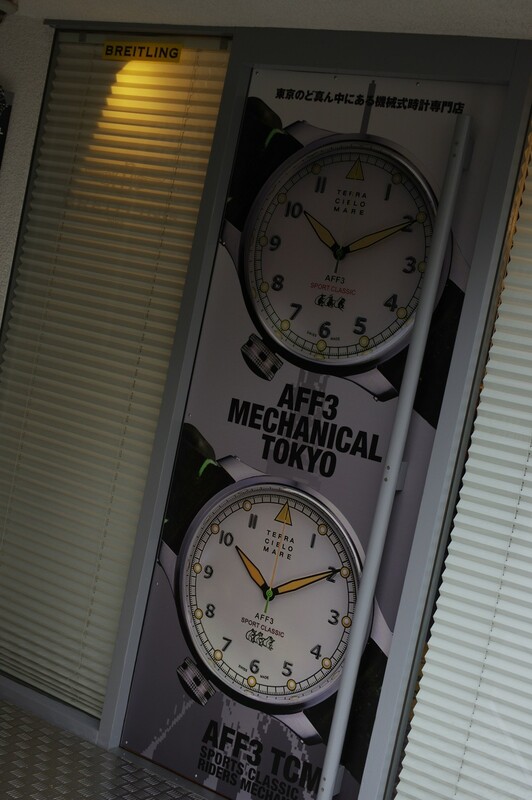 automatic with a 38-40 hour power reserve. 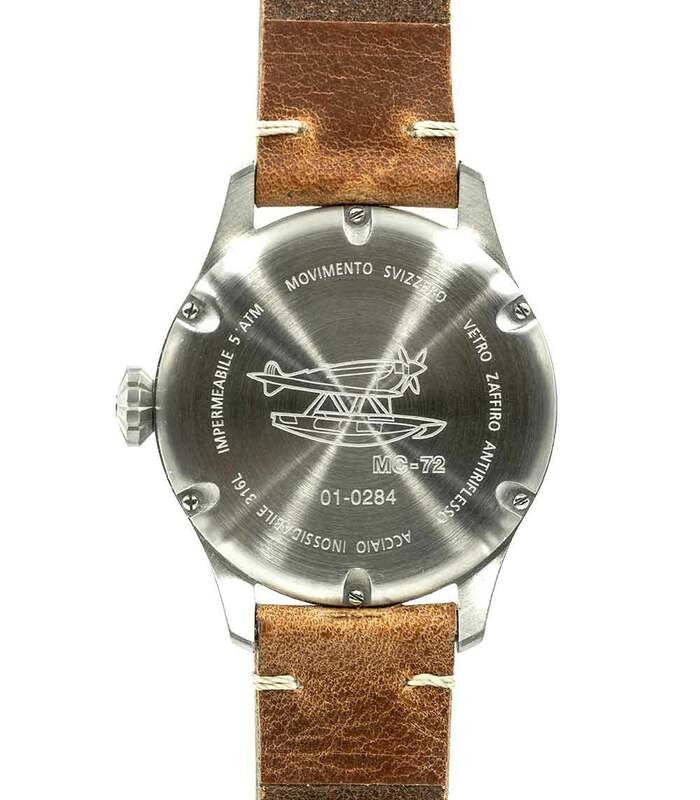 appearance seen from the back. 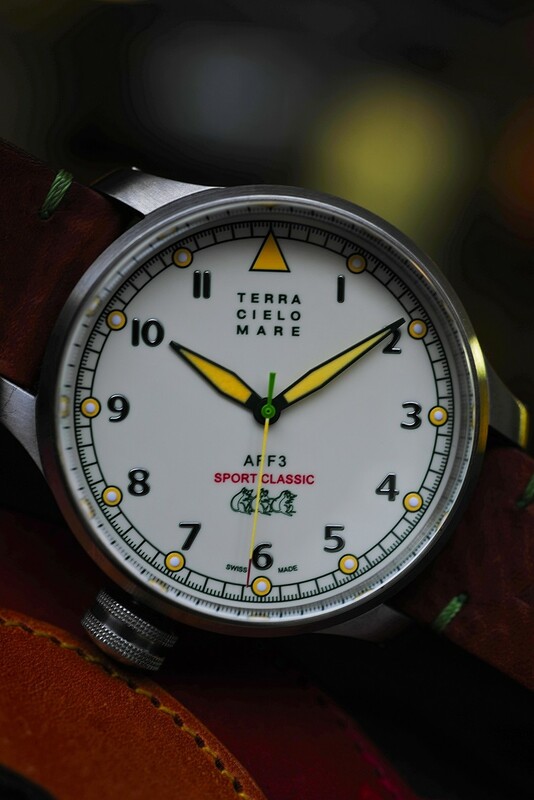 was built by Macchi Castoldi, initially intended for competing in what proved to be the last Schneider Trophy race in 1931, but engine problems prevented Italy from taking part. 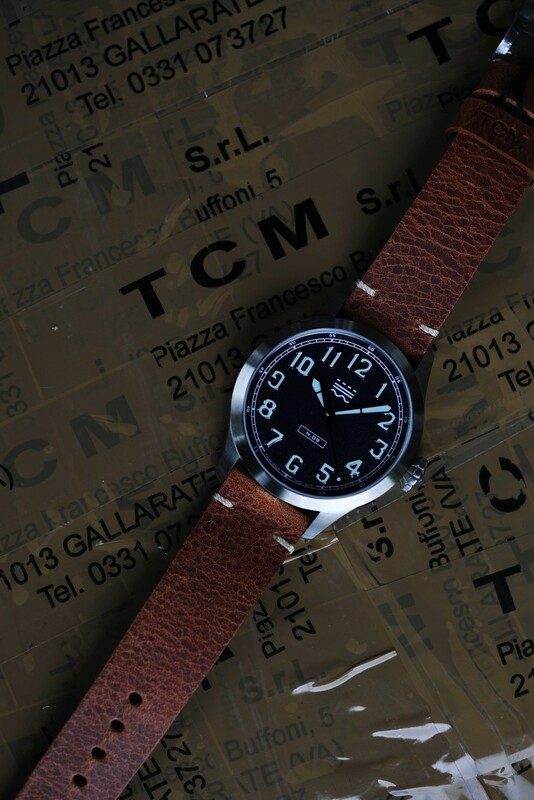 However, development of the MC-72 continued, and in 1933, pilot Francesco Agello flew it to a new world speed record for aircraft, reaching 682 km/h. 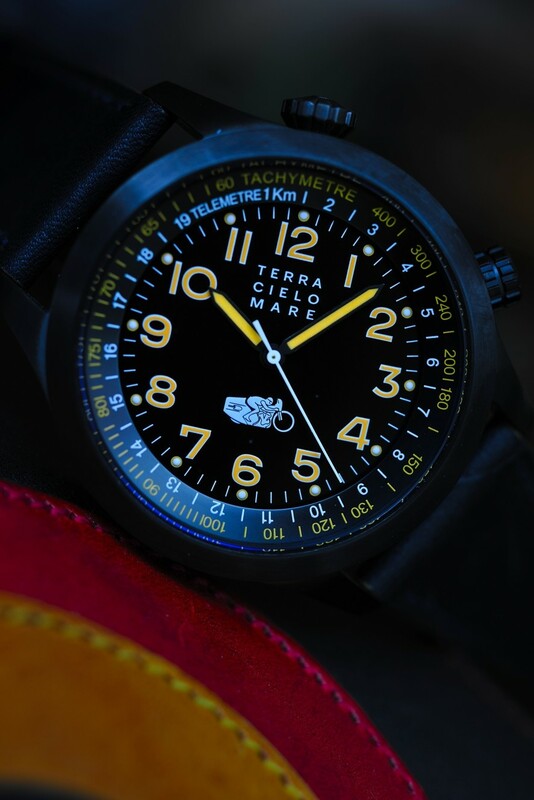 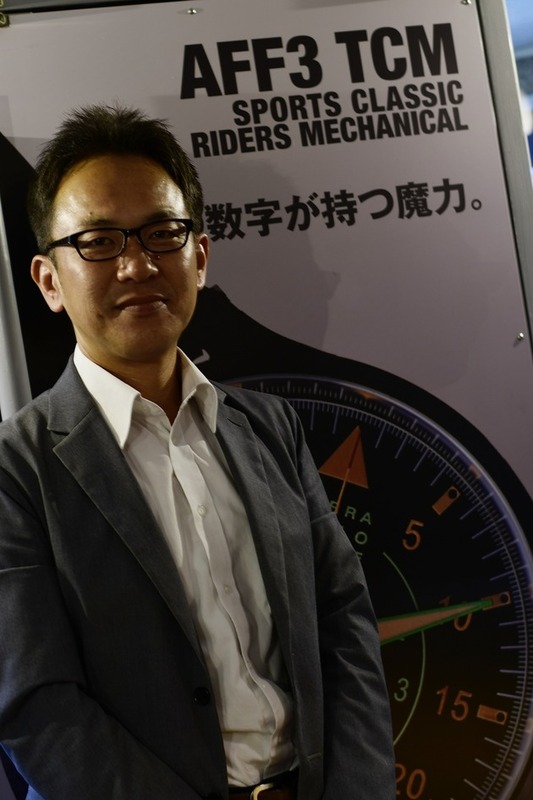 He bettered the record in October 1934, achieving 709 km/h. 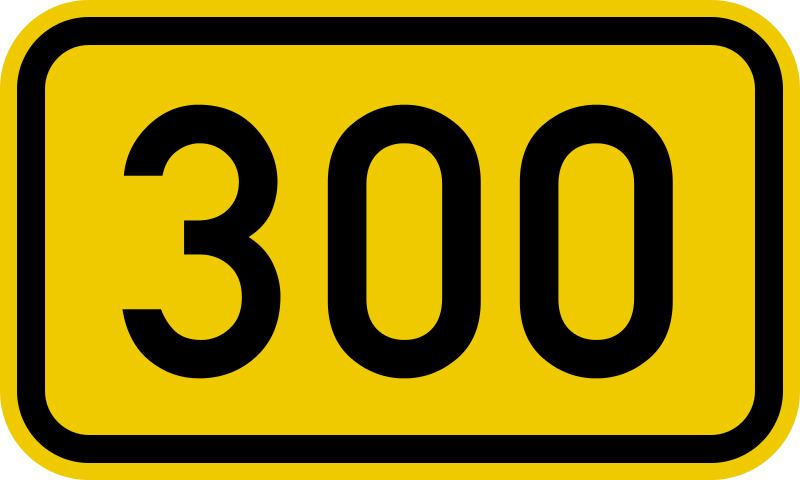 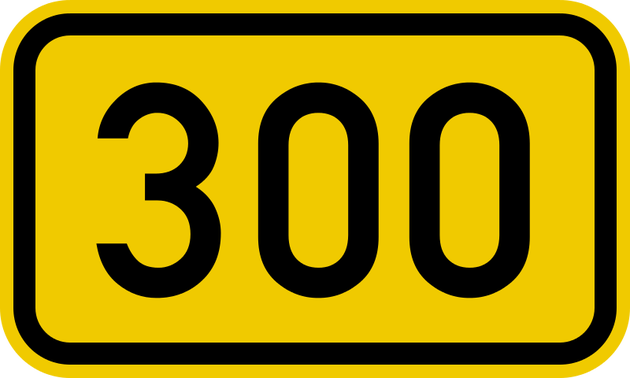 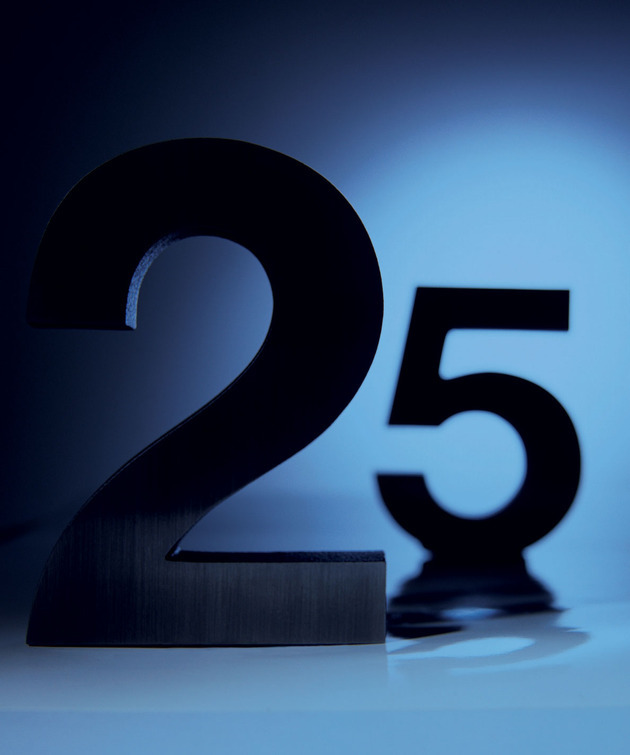 This has remained the fastest speed ever attained by a piston-engined seaplane to this day. 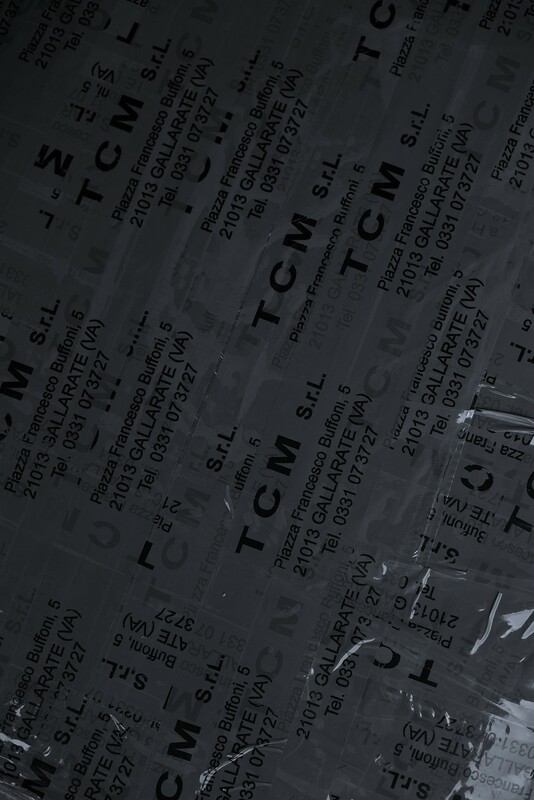 Ater that, the MC-72 never flew again – perhaps because of its ominous record. 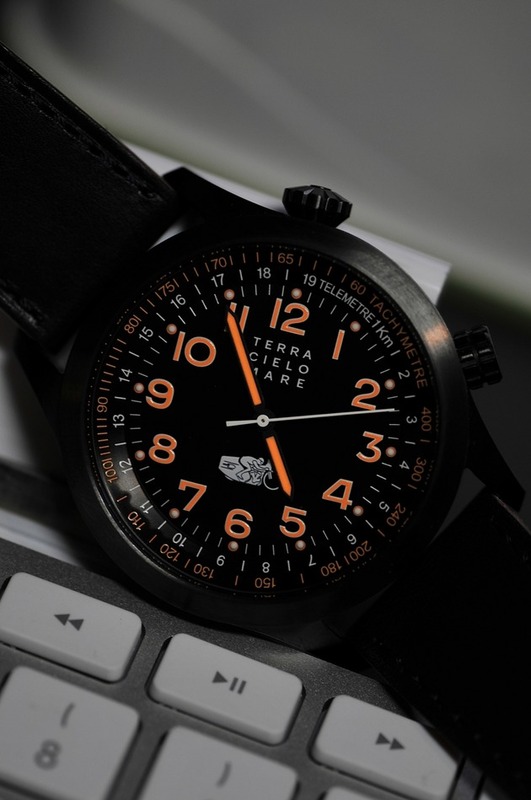 Two test pilots died in world record attempts flying this plane.